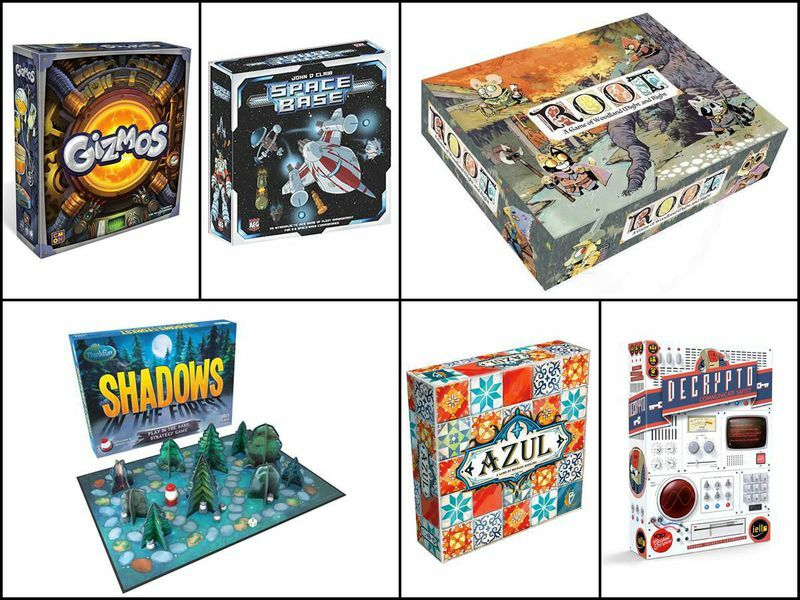 If anything, board games have become even more popular than last year, when Smithsonian.com inaugurated our first-ever board game gift guide. 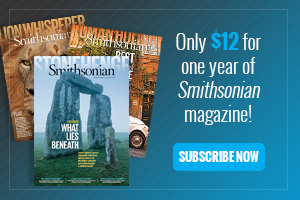 Analysts predict that the industry will become a $12 billion market by 2023. Games also got weirder and more diverse, as the last few years have given us both Gloomhaven, a delightfully complex roleplaying game that supposedly contains 150 hours of gameplay and numerous secrets, and Dude, a card game where you say the word “dude” a lot. There truly is a board game to suit every taste and budget. We sat down with some board-game industry experts (and fans) to find out the best board games of 2018. Just about the cutest war game you can imagine. Take control of a different faction of woodland creatures trying to rule a forest. The Marquise de Cat wants to reap the riches of the forest by harvesting wood for workshops and lumber mills. The proud Eyrie must build new roosts, the Alliance unites forest creatures into a powerful force of resistance, and the Vagabond plays all sides. Don’t be fooled by the adorable pieces, this is definitely not a kids’ game. Game designer Matt Grosso (Dead Last), who is also director of WashingCon in D.C., says that one of the best parts of the game is that each of the four factions (or six with the expansion) “play totally differently.” Not only does each player have different goals—“all of which interact in fascinating and intricate ways”—but the gameplay changes depending on which faction you control, leading to dozens of combinations. 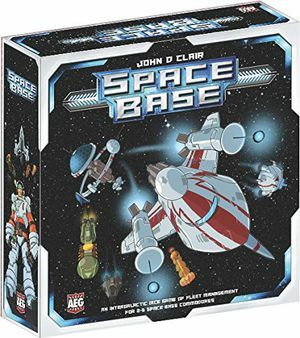 “Space Base is a great game for anyone who likes the dice rolling and production of Catan but is looking for something new,” Grosso says. In Space Base, you play as a commander of a small fleet of spaceships, upgrading them to transport cargo, mine resources or defend your territory. 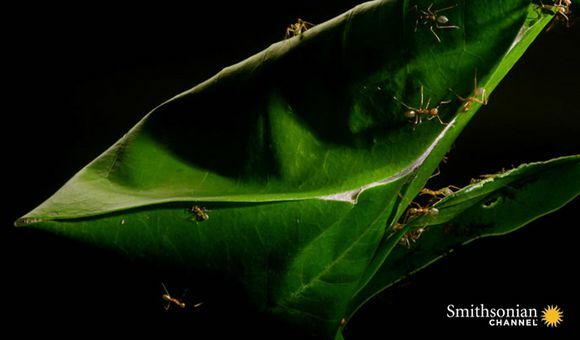 “This fast-paced game has everyone starting out with the same set of resources, but players will quickly develop their own strategies in a race for points,” he says. 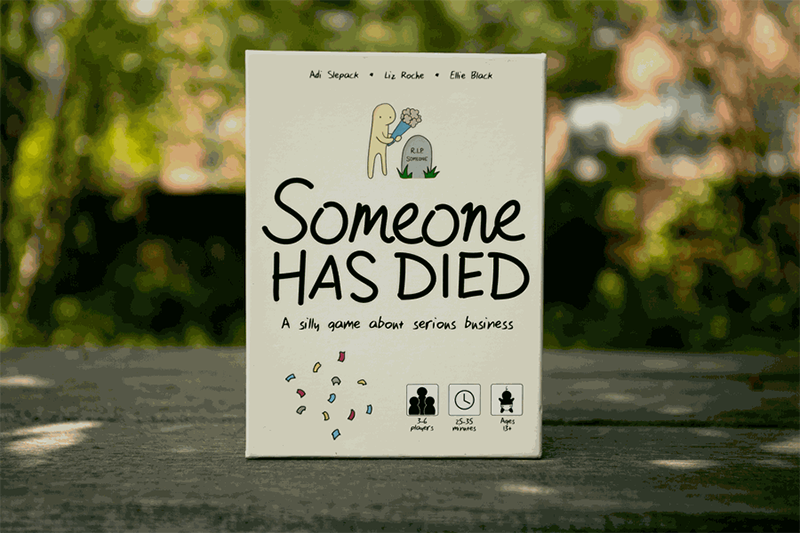 Because each player obtains resources when anyone rolls their numbers, the game moves quickly, with some games finishing in 30 minutes, and doesn’t have much sitting and waiting for non-active players. 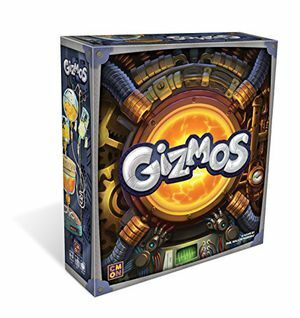 Another “engine builder” (in the vein of Space Base), Gizmos has players taking on the roles of inventors at the science fair, competing for electricity and batteries (represented as different colored marbles) to power their inventions. The clever marble dispenser turns what could be a highly annoying part of the game (marbles rolling EVERYWHERE) into a fun, tactile component. Grosso likes the clever mechanics, and Lauren Bilanko, co-owner of Twenty Sided Store in Brooklyn, praises the deceptively simple nature of the game. 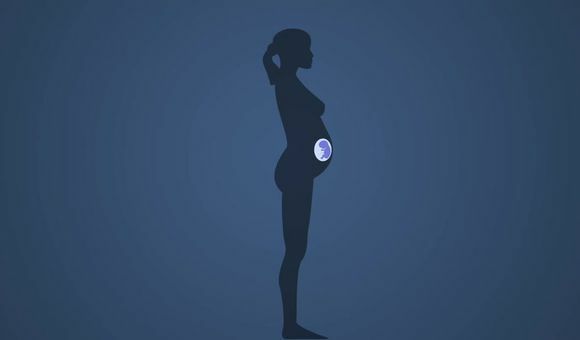 “It looks like from the outside that it would be easy,” but don’t be fooled. Stacy Dellorfano, founder and CEO of ConTessa, a nonprofit that strives to bring diverse voices to board gaming conventions, recommends this game for its “simple gameplay with a lot of strategy.” Like the classic adage goes, you can teach the tile-laying game in a few minutes, but it may take ages to master. Players act as tile layers for the King of Portugal, trying to build the most beautiful mosaic. The strategy comes from how you pick tiles from a communal pool and where you place them on your board. 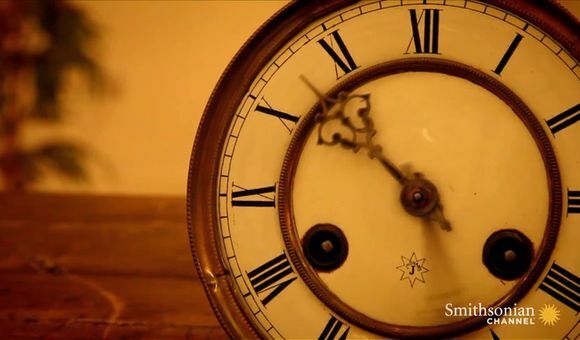 A game takes just 30-40 minutes to play, so it’s also a good one when you’re pressed for time. 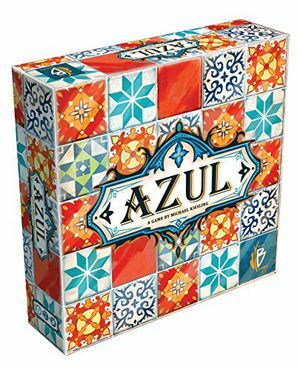 Azul was also the 2018 Spiel Des Jahres winner, the most prestigious award in the industry. One of the most surprising games released this year was a remake of a 30-year-old German cult classic. 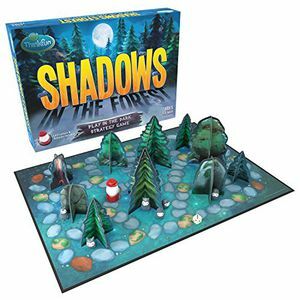 Shadows in the Forest has one player take control of an LED lantern (the less flammable update to the original tea candle) while the rest of the players move black “shadowlings” around the board, hiding in the shadows cast by cardboard trees. Did we mention you play in the dark? Turn off all the lights, charge up the glow-in-the-dark die, and play. “It’s just so much fun,” says Dellorfano. 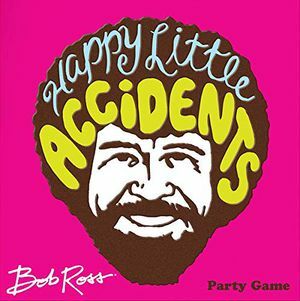 In this officially licensed game named after the PBS cult hero, players quickly scribble an abstract shape onto a piece of paper, then are given someone else’s squiggle that they must transform into a noun, like “volcano” or “pizza” or, presumably, “happy little trees.” Other players award squirrels (points) based on which drawings best capture the noun—or which drawings are the most creative. Whoever has the most squirrels at the end is the chillest painter of the day. 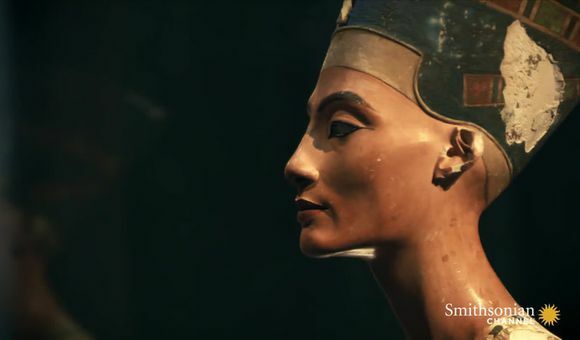 One of the appeals of board games over video games is that they’re physical objects. 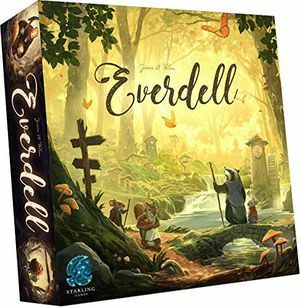 Nowhere is that more clear than the heavy strategy game Everdell, which is set in a charming forest populated by badgers, mice and rabbits. The game’s gold coins have a satisfying heft to them, and the berries used as currency to pay some of your animal workers have just the right amount of squish. There’s a giant, three-dimensional tree. Of course, none of this matters if the game isn’t fun to play—but it is. “The strategy is really nice, for someone who wants to level up their Catan game, or 7 Wonders,” Bilanko says. “It’s mostly strategy—not a lot of luck.” And if you’re the only one among your friends who loves deep strategy games, Everdell even has a solo mode. 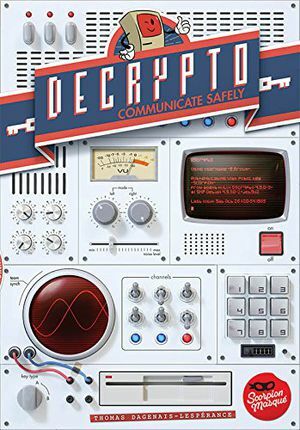 Much like 2015’s breakaway hit Codenames, Decrypto has players break into teams of two to try to guess secret words. But that’s where the similarities end, Bilanko says. In this game, both teams are working at the same time (less waiting around for others to take their turns). One player on one team gives out clues to a set of hidden words, then both teams try to intercept the codes by guessing what the “encryptor” meant. If one team correctly interprets the codes twice, or the opposing team intercepts the code twice, it’s game over! Bilanko says that large groups can play just as easily as small ones, and “it’s great in the sense that everybody on the team gets to do something each round.” The cleverly designed components recall the early days of computing (it even comes with little cardboard floppy disks), so get ready to pretend it’s the end of the Cold War and you’re defending national security. This deck-building game expands and improves on the original Paperback game. Players compete to get high-scoring letters in their decks of cards, then play them to spell high-scoring words. 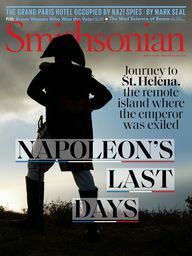 Says Grosso: “It will stretch your brain in ways that Scrabble never has. 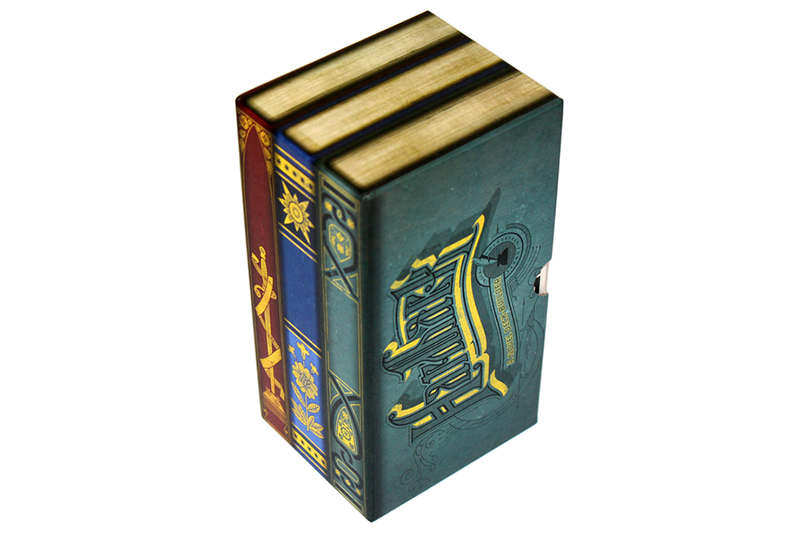 Like any word game, a good vocabulary helps, but in this deck-building game the strategy of how you play matters much more.” Word lovers who prefer a less competitive experience can even play in cooperative mode, working together to defeat a simulated literary adversary. A rich person is dead. Luckily, they’ve left a very contestable will. You are a friend/roommate/ex-lover/neighbor of the deceased, and you think you deserve to inherit their fortune. Good luck. 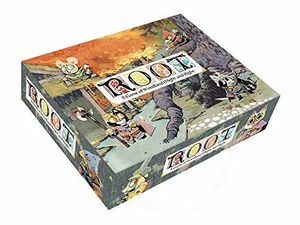 This “improvisational storytelling” game, where you have to make your case to inherit a fortune, is for anybody who’s ever thought about trying out roleplaying games but has been too intimidated to do so, says Bilanko. “Every time this game is played in the store there’s just roaring laughter,” she says. More structured than a typical roleplaying game, this game provides cards that provide characters’ backstories and motivation. Players take it from there. Having trouble seeing our list of board games? 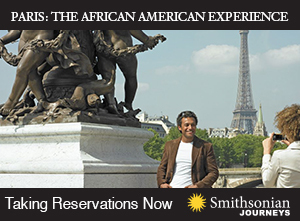 Turn off your ad blocker and you'll be all set.